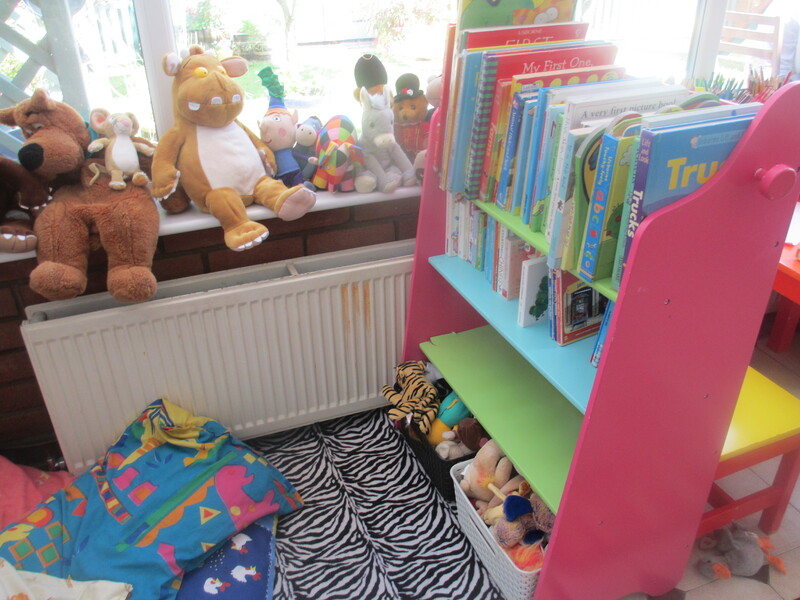 A very good question from the children who attend Penny’s Place – for this morning (24th July 14) there in the garden, balanced on top of the sand pit was the sofa that had been in what we call the ‘middle room’ when the children had last attended. So WHY was the sofa in the garden? WELL – I consider myself to be a very reflective practitioner (even if the inspector who inspected me does not think I am), and I reflect all the time, I make changes all the time, as and when I feel changes are needed. I don’t have an action plan – other than the very short term one that is in my head. because I action things straight away. I make a note in my diary about what I have done and why – and that is it – unless of course I reflect about the changes made – and decide further changes are needed, or indeed that the changes are not working and need to revert back to how things were. And in my opinion this is how it should be – constant reflective practice to ensure that the needs of the children and families attending are met. Any inspector worth their salt should be able to recognise this through observation that the practice and environment of the setting – ON THAT DAY are working, and meeting the needs of the children attending. A quick check of documentation – either photos or notes in a diary or folder should provide evidence that changes have been made – as needed. In my opinion – putting stuff in a SEF or having a yet to complete action plan – are not the only ways of demonstrating that you are a reflective practitioner – it is one way – but not the only way – in fact Ofsted themselves say this. Anyway, I need to get off my soap box otherwise this blog is going to turn into another ‘moan’ about my inspection and further evidence how deeply upset, frustrated – and indeed angry I am about the flawed inspection that I experienced and the failure of the complaints system to be able to deal with tool kit evidence and inspectors word – that is not based on honest, factual recording. 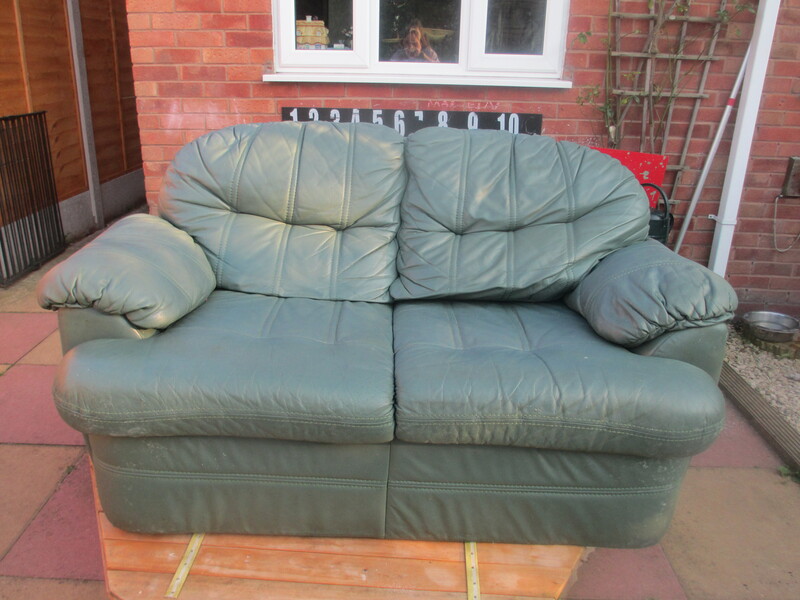 So to get back to the children’s question – Why was the sofa in the garden? Over the last couple of weeks, I had realised that the layout of my setting and the storage of resources was not working very well – and in particular I was spending a lot of time before children arrived setting up, moving the large 2 sided mirror and heavy book box, getting resources out of the garage (or the conservatory where inevitably things ended up being put at the end of of busy day and before rushing out for meetings) . and at 5pm moving it all again, when I cleared the lounge, and then after the children had gone home when I put everything else away for ‘family’ use of the house. This issue now has further relevance as Mr.Penny’s Place and myself are foster carers and have a 12yr old foster child living with us – who has his own needs including that of space, of privacy, of family time. 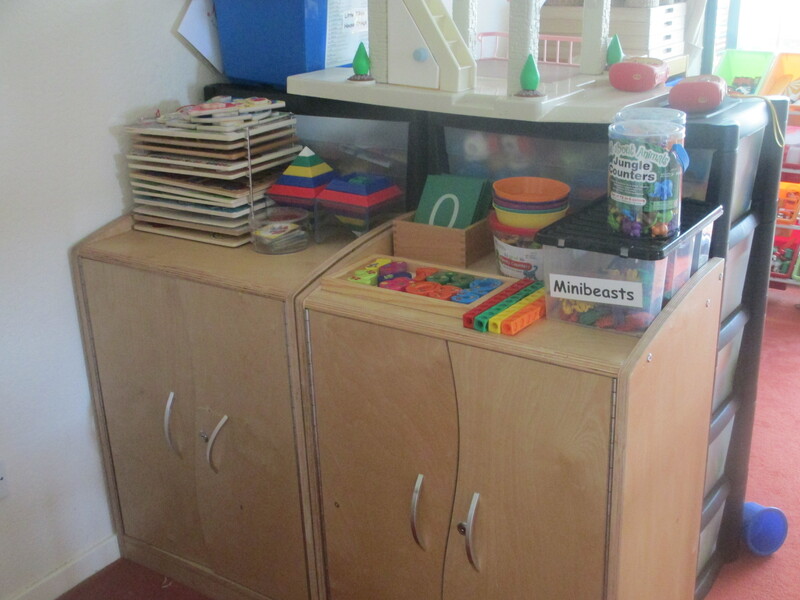 It was Mr.Penny’s Place who had first mentioned (a few months ago) that I would have more space if the sofa went – but at the time the layout was working reasonable well, and the children in my care at that time were more or less the same age and so their needs were similar. However, things are changing and those older children will be starting school in September, and there will be more babies attending in September as well as 2 and 3 year olds (different combinations each day) Plus the toll on myself of moving resources so much is begin to tell ( especially important as the doctors have still not got to the bottom of why my haemoglobin is so low). And so during a fairly relaxing weekend in the caravan last weekend, I did some reflecting in my head and came to the conclusion that changes were needed. So my in my head action plan was started. First stage – speak to Mr. Penny’s Place about how he felt about the ideas in my head – his opinion was – if it makes it easier for you – go for it. Although I do wonder if he was fully listening ! ( as comments made later will show). Still – the go ahead had been given – and as I finished work slightly early on Wednesday 23rd July) – I set about the mammoth task – you see I had decided to change the layout of the conservatory and the middle room to create an environment that did not need setting up every day ( or putting away every evening) PLUS I wanted more resources to be available for the children to select themselves (without the need for me to get out of the garage for them) PLUS I wanted the lounge to just be used as a ‘free space’ not as a space that needed setting up on a daily basis – not a lot to ask but incredibly difficult to achieve. So first I had to take nearly everything out of the conservatory, and push the rest around as I made the changes. 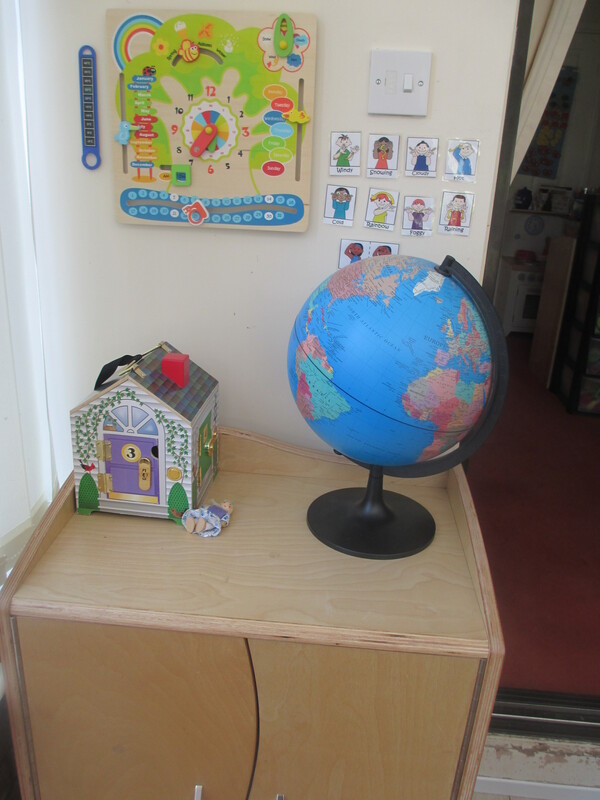 My pre planning – and use of tape measure had informed me that there was only one place to have story corner set up all the time – and that space was in the conservatory. 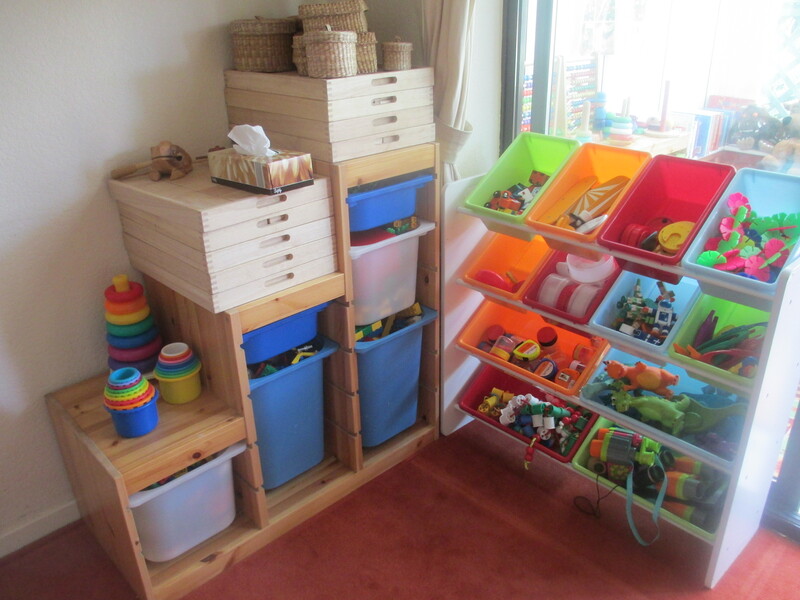 However before I started to put the resources and equipment in their new storage places – I had to do some cleaning! 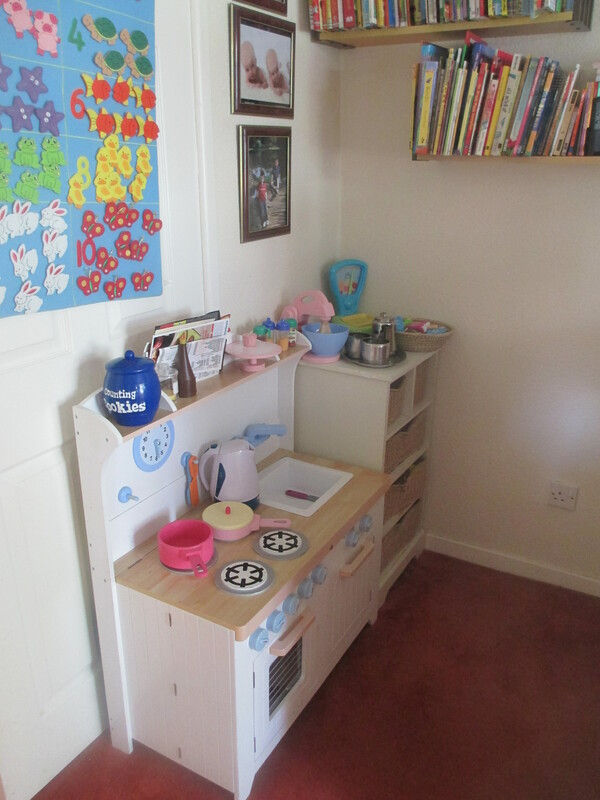 Rice from previous rice play sessions had managed to get into the places where the no one normally see (such as behind the play kitchen, and in the very small gap under the skirting boards) – and of course it would have been silly not to clean surfaces before putting the equipment /resources into its new place. Meanwhile while I am doing this, visitors arrived – daughter 4 and her husband – as the thing I have forgotten to mention is that the 23rd July is actually Mr Penny’s Place birthday – so a break was taken and birthday cake eaten – a very welcome break and lovely to see family members – and to chat about the impending arrival of grandchild 9 (due in a 3 weeks time) and about the visit to Ray’s Farm, that day with mindees and foster child (a duel purpose visit as was also a contact visit for foster child with his siblings. The first two comments made me realised that he had not fully grasped what I had explained before – and when he gave his OK for me to go ahead (so a quick check was needed to ensure that he was OK for me to continue with this major reorganisation – he was) but his last comment was very valid as at that moment in time the sofa had been pushed out of its usual place in the middle room and was jammed into the only available space blocking movement between middle room and conservatory and restricting access to the kitchen – plus it was piled high with ‘stuff’ that needed to be found ‘homes’. So Mr.Penny’s Place goes off to bed and I continue reorganising, cleaning and so on in an effort to be ready for the children to arrive in the morning. Around 11pm I realise that I need to move the sofa somewhere and the only place to move it to is the garden – so I start to move it – and almost straight away regret doing so. 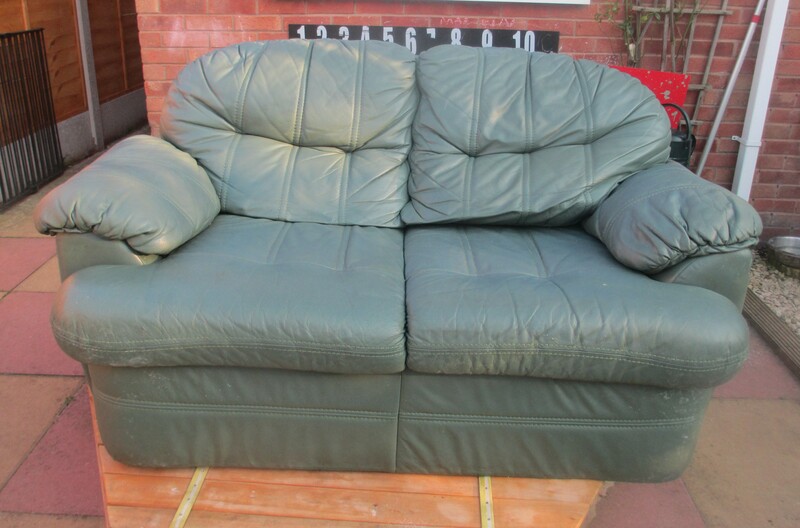 Luckily it is a 2 seater rather than a 3 seater – but even so it is solidly made, and not easy to move it on your own. I managed to tip it on its side and drag it the few inches to the door between the conservatory and the middle room – and get it stuck!!! However as no one available to help – I had no choice and had to get it free, jiggle it around until I finally get it through the door way – and down the step into the conservatory. THEN I had to turn it 90 degrees, tip it on end and get it out of the door into the garden – these are double doors – but the one side was locked – and the keys were – yes in the middle room on the hook where they always are, ready in case an emergency exit is needed – and I was in the conservatory with the doorway to the middle room blocked – by the sofa. More jiggling of the sofa – which appeared to be getting heavier by the minute and my patience and strength was getting less by the minute. Still I eventually got the keys and opened the door – and dragged the sofa into the garden – and was presented with two more issues – one gravel is not the best for dragging sofa’s across; two I needed to find somewhere that I could risk access as safe from a childminding point of view and also somewhere I could protect the sofa (as hope to recycle it / find it a new home). I do of course finally do it – as can be evidenced by the photo at the beginning of this blog – but by the time I had it on top of the sandpit I am shattered and shaking – not good with my health issues – so a sit down, a drink and something to eat where needed. Still the job was almost done – a bit more sorting and I could finally go to bed. So how does the reorganisation look like? Judge for yourself! ………….. for all the expense of campaigning – in travelling to meetings, paper, ink and stamps – again a rough estimate around £1,000 of my my own money – and this would have been a lot more if it was not for colleagues who helped with travel costs and free overnight accommodation. I am not sure if I am pleased the the Government has issued this advice to support schools – or horrified that they have felt the need to issue it. However what I find shocking is that – in my opinion – current Government policy on childcare and family issues is going to make things worse – much worse, in the future and for our schools, the children and the staff. So to explain why I think this, I am going to write about it in my usual reflective / questioning style. I will use text from the document in black bold, my main thought / question (as usual in blue bold ) rest in ‘normal text’, and if needed I will signpost to other available information. Do the Government really still believe that sanctions for poor and disruptive behaviour really do work – and especially for those whose life experiences are complex and confusing? I will use my own recent experience as a foster carer – child has past experience of such a complex and confusing life so far; history of exclusions from school (the sanction) prior to being placed with my husband and myself as his new foster careers. Child does something at school that would normally result in such a sanction AGAIN – sanction carried out – two day exclusion. Returns to school – again does something that indicates exclusion is needed, suggest to school that sanction not working – suggest child remains in school. School agree – child does not do anything again to indicate exclusion needed as behaviour has been modified, due to fact that been made clear that no matter what happens, exclusion will not be implemented. Of course it is not as easy as that and there will be blips and slips back to previous behaviour because change takes time – but on the whole if you stick with the belief that change can happen – it will. And if the first thing I try to avoid doing what I don’t want to do, does not work – I would just do something more extreme until I get the adults to modify their behaviour and act as I expect them to. It is when a child is clear about the consequences – ie no exclusion – you will be going to school – that you can implement the rewards – but these rewards have to be about the child wanting to achieve for his or her self – not about a short term reward or to please others. Complex work – difficult to work through, difficult to engage with, requires short term additional funding – as behaviour may indicate that child need constant one to one support. However it is only relatively short term until the child realises that he / she can change things. Sanctions – including ones like loss of playtime, standing outside the heads office do not work, in the long term.  Extra work or repeating unsatisfactory work until it meets the required standard.  The setting of written tasks as punishments, such as writing lines or an essay. to participate in a non-uniform day (sometimes referred to as ‘mufti’ days).  Detention including during lunch-time, after school and at weekends. after meal times; or removing graffiti.  In more extreme cases schools may use temporary or permanent exclusion. Oh dear, oh dear, oh dear – those sanctions might work for a child who was like me at school – was a ‘goody two shoes’, someone who hated the limelight and would avoid sanctions, because sanctions drew attention to self. However for many children they believe drawing attention to self is good and needed – and the sanctions are therefore ineffective. For some children being able to avoid break times, going home, being at home at the weekend is desirable – such are their experiences with peers and at home. Let’s be honest when a document is issued to look at Mental Health and behaviour – we are not talking about the well adjusted students who have on the whole had positive life experiences and so for those children we only really need a verbal reminder – and they will conform to expectations – BECAUSE they know it is in their best interests to do so. We are talking about those who do not self regulate because they do not know it is in their best interests. Iinstead of missing break time; a reward for completed a task, or not being disruptive could be to help set up a break time activity – and to leave class 5 mins early to do so – this could also enable child to use the toilets without fear from peers, plus have a role of responsibility and a ‘good’ reason why not outside during a break. To do this sort of work you need to know the children REALLY well and to follow their lead – one step at a time – as of course you may not get to the bottom of an issue for sometime – but you have to start somewhere. Instead of setting EXTRA work – reduce the work requirement – put in support so the student can have success – look at reasons why not able to stay on task, look at the child as a whole – do not expect them to do their best when the rest of their lives are at crisis point for some reason. Sometimes to go back a stage or to revisit missed stages – pays dividend in the long run. The list of sanctions to my mind says to the child you are no good – all of this is your fault, you are not trying hard enough -and actually for those children tottering on the edge of the line of Mental Health issues, and those who have complex and confusing life experiences – nothing could be further from the truth. Government / schools – try putting yourself in their shoes and seeing things from their perspective? Could you do your best if you were them? Would you respond well, if you were told that you should do better – and as you are not – here is your sanction? I have noted that the advice on Mental Health and behaviour in schools will be reviewed in October 2014 – just 4 months from the publication of the current review which was published in June 2014 – I have to ask why? Are they expecting things to improve in that time scale or to get worse? My concern of course is, like with so many Government proposals at the moment there is not enough time allowed for impact to be known or for review to take place. 1.1. Certain individuals and groups are more at risk of developing mental health problems than others. These risks can relate to the child themselves, to their family, or to their community or life events. 1.2. Risk factors are cumulative. Children exposed to multiple risks such as social disadvantage, family adversity and cognitive or attention problems are much more likely to develop behavioural problems. Research suggests that there is a complex interplay between risk factors in children’s lives and promoting their resilience. As social disadvantage and the number of stressful life events accumulate for children or young people, more factors that are protective are needed to act as a counterbalance. The key protective factors, which build resilience to mental health problems, are shown alongside the risk factors in table 1, below. Not rocket science is it? The more you have to cope with – the harder it is to cope – and this applies to adults as well as children. The saying ‘The straw that broke the camels back’ is very true – and it is often something quite small or insignificant that leads to being unable to cope any more. In an ideal world this would be the case – but teachers and support staff have a lot of other things to do, and large classes – finding the time can be difficult, ensuring the needs of so many students are met can be difficult. And also having behaviour policies such as those mentioned above with sanctions as described, hinder not help. BUT – even if teachers and support staff had the time, the resources, the smaller class sizes and the training – their impact would not be enough – because when you add up the total number of hours a child spends in school (actually in class) in a year, against the total numbers of hours at home, or in the care of others – you quickly get the picture that number of hours in school is rather insignificant. In the report there is a very good table / list of risk factors – and a not so good list of protective factors because some of those given are school based and currently almost impossible to achieve. There is mention of the need for things like good housing, high standard of living – but although important these are not really protective factors because actually even children who have these things can still develop behaviour problems and mental health issues. You see it is my belief – and indeed that of many others that it is the demise of quality family life that is at the route of many of the problems in children and indeed in society. Some of this lack of time is as a direct result of changes to working patterns, some to financial pressure and the need for two incomes, some the fast pace of life and the belief that every minute should be filled with activities outside the home, some because of lack of understanding of the value of family time together – especially the relaxing and playing together times – and much of it is connected to Government policy – particularly the drive to get more women into work and therefore more children into childcare. If you are a member of a membership organisation or a trade union that supports those that work with children and young people, take a look at their websites to see what they have to say – organisations such as Pre school Learning Alliance, PACEY, Early Education – to name a few. Any internet search will bring up a lot of documents, You Tube clips, research papers, all saying the same thing – and surely all of those experts and people like me with years of hands on experience – can’t all be wrong! I will end with another of my personal reflections – as a foster carer I am very aware of the benefit of a loving, stable family life for children – and have experience of how a loving, stable family life can make a huge difference to children and young people – including their educational attainment and indeed behaviour at school. If young people who have had complex and confusing life experiences are best placed in secure, loving family homes where one adult is usually at home – why is the connection not being made by the government – that all children will benefit from secure and loving family homes where one adult is at home – especially in their early years? In addition I have seen for myself the huge benefits of unstructured play in supporting those with complex emotional needs; to help work their way through things that are troubling them; to help fill in gaps in their development that they have missed for whatever reason; to help relax and simply ‘chill out’; to help become less stressed, less worried and therefore able to change things and to go on to achieve their personal potential. In my opinion the Government have got it wrong – it is not schools that are going to alter the decline in children’s mental health, it is not schools who are best placed to support children’s functioning skills – and it is not schools who will improve the attainment of children, who have not had the best start in life. This is not a reflection on teaching staff and support assistants – they are doing a brilliant job and if they could have classes with more students who are ready and able to learn, they would be able to get on with their job and not have to spend time trying to pick up the pieces of Governments interference in family life and children’s early years experience. Nor is it a reflection on colleagues of group based early years settings – who on the whole refuse to operate at the suggested 1:13 ratio – even if they do have graduates working in their settings – and so each child gets individual attention including support for their family. What we need is investment in family life and in unstructured play opportunities within the home and the local community. What we need is for all skills to be valued and not just academic skills because at the end of the day it is those caring skills and that understanding of young children gained through experience (included passed on knowledge through families) and academic skills (including on the job non exam based training) – both in families and in early years settings, that actually makes the difference to children’s well being. What we need is for support to be provided to families who for whatever reason need support to learn about family life, so they can stand on their own two feet and be proud of themselves and their families – and this is more of a time investment than just pouring in money. What we need for those children who are already bearing the cost of poor quality family life and and and an education system based on a one size fit all academic based curriculum – is to step back a little and allow them to experience family life, and play – and to have time to catch up and fill the gaps in their life experiences. In my opinion we are on a slippery road to complete and utter failure of our education system, family life and society as a whole. THE REALLY SILLY THING IS IF THE GOVERNMENT DID STOP AND LISTEN, AND DID INVEST IN FAMILY LIFE AND UNSTRUCTURED PLAY BASED EARLY YEARS EXPERIENCES – THEY WOULD ACHIEVE THOSE AIMS IN THE LONG TERM. IT JUST NEEDS SOME INVESTMENT NOW IN TIME AND MONEY – AND THE RESULTS WILL BE SPECTACULAR. I have now had chance to look at and sign up for MindEd which I found to be be useful and interesting – and will be returning to find out more and complete the sessions provided. Even if I say so myself – I am a reflective practitioner and I constantly reflect on …….. everything! This includes reflection on things that I am not directly responsible for like Government policy and Ofsted matters – which is why of course I am an active campaigner – when I see, read, think about things that I consider not to be in the best interests of the children …… I have to say / do something. And so in the very early hours of this morning I found myself reflecting on Ofsted inspections – my own experiences, others experiences that I have heard about through my involvement with the Ofsted Big Conversation, my discussion with Gill Jones, and my many discussions with friends, colleagues, and others from the early years sector. So first a THANK YOU to all of those who taken part in these discussions with me about Ofsted inspections – I am sure that as you read this you will think – ‘ah I discussed that with Penny’ , but I am also sure that you will think ‘but we did not discuss that’ – because as part of reflection you should listen to, and take on board others ideas – put them in a mixing pot (your own brain) and then come up with your own personal view which will be informed by others but based on your own views, principles, vision, ethos – and so unique to you. Of course we are all also part of a team – either in our settings, or as part of a membership organisation, or a trade union, or as part of the wider early years sector – and so it is vital to share those reflections – and to reach agreement within whatever ‘grouping of people’ you are aiming to work with and therefore to agree with – so that your personal reflection aids the reflection – and potentially changes to the practice of whatever group it is you aim to work in partnership with. Therefore, my reflections (which I will come to in a minute) are for all of those that I work with to consider and to throw into their own reflection ‘mixing pot’. I am of course hoping that Ofsted – and in particular Nick Hudson and Gill Jones read this blog and reflect on my ideas because as we all know Nick and Gill are currently conducting a review of Early Years inspections – and maybe, just maybe the time is right to think outside of the box and indeed to turn it over and jump up and down on it – and in doing so knock all the ‘silly bits’ out. I have done lots of reflection on this before – and blogged about and wrote letters and articles about it ………………………. …………………………….. however this is some different reflection because instead of trying to adapt the inspection box so that it works better – I am thinking wider and drawing on all my own personal experiences as childminding network coordinator, quality assessor, practitioner and volunteer – plus those aforementioned discussions with others. In my opinion – Involves all, is on going, is checked by those with specialist knowledge – frequently and if possible without notice, and is based more on practice than on paperwork. Here then are my ideas – for consideration – as in no way is this a ‘final version’ just something to be thought about – and if appropriate used to start the ball rolling on what Ofsted inspection / quality assurance could look like post 2015. Education should be taken away from politics – and a board of appropriately qualified people should be employed (and with sector specific experts and volunteer input), to ensure that everyone’s views are taken on board and the best research and knowledge used to define the education plans. The education plan should be in place for at least 10 years – with only minor adjustments each year following a proper reflection / evaluation schedule. There is too much messing about with / complete over haul at the moment . If proper consultation takes places there should not be a need for this constant changes to policy and practice. Any changes to the 10 year plan should only be for educational reasons – not political reasons. This inspection should focus more on an over view of things and should involve checking all the statutory documents are in place, and involve observation of practice and discussion with practitioners and managers, and parents, and most importantly the quality verifier (see below) and at least 10% parents – in person or via phone. Ofsted would issue the grade but not recommendations – these would come from a 3 way discussion and AGREED between setting / school, the quality verifier and Ofsted inspector – and by phone if needed, within a week of the inspection. The report would then be written, circulated for approval and published one week after draft report circulated. An Ofsted approved questionnaire should be completed by all settings / schools once every 12 months – and a separate but coordinating one sent to all parents – with a require 75 % return rate. These should be sent to the quality verifier to be read and a result summary sent to Ofsted and the setting / school. The SEF would be dropped as it relies on the honesty of the person filling it in – and the time they have available – and their IT skills and their confidence in presenting facts in writing . Some do this well, some don’t – but at the end of the day – it is the hands on practice that makes a difference to children – not if can fill in a SEF. This quality verifier would be from an approved list agreed by Ofsted, but could include LA staff, membership organisation staff, private company staff and others – all of whom would receive direct training by Ofsted on the report side of things, so reports were in a standard format. However training on observations and quality assurance would be provided by whoever the quality verifier works for. The people doing the quality verifying would not give grades or make judgements – they would just record facts – and each school / setting would be required to read and sign the report before it is sent to Ofsted. Having said that to ensure safeguarding of the children if a quality verifier visited a setting and saw practice that needed to be reported for safeguarding reasons – they would call Ofsted while still in the setting – and in hearing of a setting staff member. Ofsted would talk to both the quality verifier and a member of the setting staff. All would be recorded and Ofsted will decide if a visit to the setting / school is needed OR if the appropriate for the setting / school to agree actions there and then – and then for the quality verifier to re visit to ensure have been implemented and that practice on day of next visit is as it should be. As I have said – in NO WAY is this a ‘final version’ of my ideas – I just want to start discussion around inspections and therefore making changes that will work. As the quality verifier (or at least someone from that company) will have visited NINE times between Ofsted inspection and produced a report – and reported any safeguarding concerns – everyone should be confident that the Ofsted grade will be truly reflective of everyday practice – and not the personal ‘snapshot’ opinion of one person, once every 3, 4, 5 or even 6 years. As a result there should be less complaints, – and indeed any complaints made direct to Ofsted should involve a discussion with the quality verifier as they will know the setting well – and be able to give details about the setting. By insisting that Ofsted talk to at least 10% of parents – even if by phone the will gather a the views of those using the school / setting first hand. The completion of the Ofsted approved questionnaire by parents and settings should be used to gain an understanding of daily practice and to aid reflection. Ofsted would be able to concentrate on their inspections – while parents and settings / schools can be reassured that through the unannounced visits of the quality verifier that quality is maintained all the time. Those that I have spoken to would welcome regular quality inspections and would be prepared to pay for it. However the biggest selling point about this idea – is that everyone – Ofsted, quality verifier (and the companies they work for) and the setting / school would be working together ALL THE TIME – to improve outcomes for children – not to tick boxes. You can disagree and add your own ideas through the comments box, or you can take my idea and add your own reflection views on it. Let’s get talking about this – and let’s work with Ofsted to improve things for all of us. As a person, the stuff I read about needing to be part of a graduate led early years workforce – I feel I have failed the Government! You see I did not achieve my GCSE level (O level in my case) in Maths (I did manage to get my English ‘O’ level), I do not have a degree, I even failed the 11+. Reading government documents, and articles in the media – it seems to me that the government are pushing, and pushing for everyone to be successful and to achieve all of the above. Most of their policies are based on the above things – as if the world would stop turning if every single person in this country and therefore every single child growing up in this country does not achieve academic success, does not go on to be a tax payer. SO GOVERNMENT – DO YOU THINK I AM A FAILURE? BECAUSE YOU CERTAINLY ARE GIVING THE MESSAGE THAT I AM. But am I a ‘failure’ – let me take you the reader on a whistle stop tour of my life. As already mentioned I did not pass my 11+ and went to the local Secondary Modern school. I did OK and was in the ‘A grade classes – but I did not do well in my exams – partly because I was not well, partly because I find exams stressful, partly because I had discovered boys. I left school at 16 and did not go into further education – in fact I married at 17 and had my first child at 19 and my second at 21. However I did not live on state benefits or have a council house, instead together with my husband – and a lot of ‘going without’ we had a mortgage and paid our own way for everything. I worked in the family business and because it was a family business the children came with me to work / I took work home to complete once they were in bed. The family business went bankrupt in the early 80’s (when a lot of other small business did). So I worked in a bar / steakhouse in the evenings to ensure our bills could be paid. Daughters 3 and 4 arrived, and I set up as a registered childminder, mainly so I could continue to care for my children myself and earn an income at the same time. This is because I believe (and I believed back then) that a home environment either with your parents or with a childminder was / is very beneficial for young children. 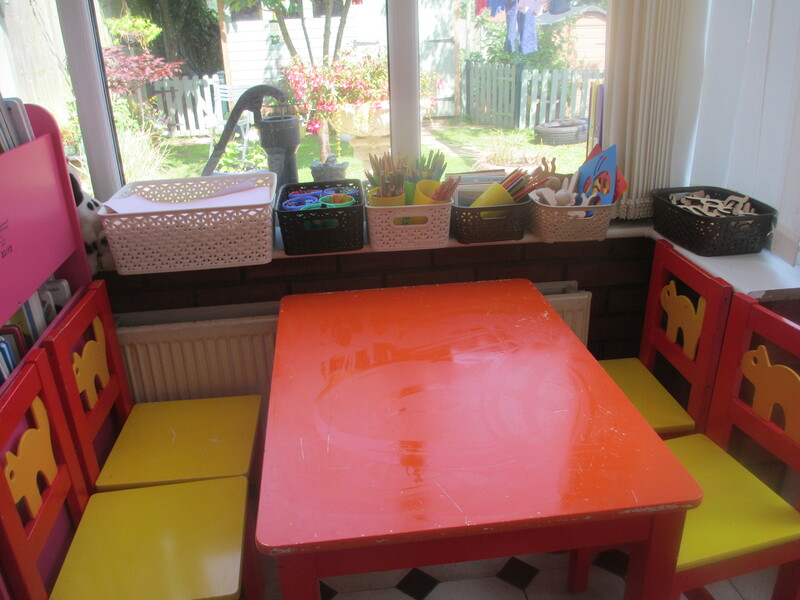 Over the 23 years that I have been a registered childminder (I worked for a local authority for 7 years, although still childminding based) I have cared for well almost 300 children – some for a few weeks, some for over 10 years, some by direct arrangement with parents and some via social services. I know that I had a positive impact on those children, many of whom went onto university and successful carers – or to be successful without going to university. Some of these children who are now adults are now parents who have a secure knowledge of what family life is about due in part to my influence. So in terms of being successful in my carer and in helping children to achieve their personal potential – I feel that I have been very successful. In terms of being a parent, I feel I have been successful – and now as grandmother to 8 (soon to be 10) I feel I have been successful in passing on my knowledge and family ethos to my daughters who are all bringing up their own families. However, there is more to my life story – as I have been a volunteer for many years – on playgroup and school committee, within Girl Guiding, as part of NCMA (now Pacey), the Preschool learning Alliance, Save Childhood Movement – and all the campaigning I do to speak up for the child and my colleagues in the early years sector. I know many don’t consider me a failure – as only yesterday(4th July 2014) I was informed that I have been short listed in the Nursery World Awards for my Outstanding Contribution to the Early Years Sector and to Children and Families. So clearly I am successful just not in terms of the government agenda. SO I ASK AGAIN – GOVERNMENT – DO YOU THINK I AM A FAILURE? The difference is though – YOU THE GOVERNMENT are making children feel failures, families feel failures and with your budget cuts to essential services leaving those who need a helping hand without support and without hope. And you know what Government? I may not have a Maths O level or GCSE – but I can add up that your policies are going to cost this country a fortune – and that the cost to society may well be higher than society can afford or be able to ‘put right’ in the future when you are long gone and others have to deal with the mess you have left behind you. Yes, we do need those who are academically successful, but more than that we need caring people – people who volunteer, who give without expecting to get anything in return – and people who provide those firm foundations for the children through family life and high quality early years PLAY experiences that are not assessed or tested. Indeed – people just like me – so please stop implementing these damaging policies so that in the future we have people like me and not selfish, target focussed people who don’t know how to care for others, along with people whose mental health and emotional well being has been destroyed through being made to feel they have fail, and through not being supported in ways that are right for them . Those who are not academic are not failures – they are successful – just not through the tick box assessments and exams that Government deem to be the only way to measure success. Last night – Wednesday 2nd July 2014 – the Preschool Learning Alliance sub committee held their second ‘Meet and Greet’ event. At the request of the attendees of the first ‘Meet and Greet’ event – this one was planned as a networking and information sharing event – and was very informal with no set agenda and just a ‘free flow’ discussion. 3 childminders – who are members of the Alliance through their Childminding Group membership – but not members in their own right. So a small group – but a very significant move forward for the sub committee as the childminders in the room were attending to find out more about what the Alliance has to offer – and in particular what the Alliance has to offer childminders. As Chair, I did the introductions – Linda and Raj then said a little bit about themselves and what their roles are. It is important to note that Raj is a paid member of Alliance staff who support the sub committee, and Linda and myself are volunteers. After an explanation / reminder about the purpose of the event – and a welcome cup of tea / coffee, we got down to the serious business of ………….. ……..CHATTING. Comment was made about where were the member settings – it was explained that because the Worcester sub committee and been dormant for so long (was only re established in Sept 13) contact details for member groups are a little out of date as no one has been keeping on top of maintaining these records – this is particularly a problem with committee run group setting as the committee is constantly changing and so is the name of the person who receives the emails / post. So a plea to any Worcestershire setting read this – If you are a member of the Alliance – please do get in touch so we can check our records. And please can you pass on the message to those you network with. In fact if any Alliance member in any part of the country is reading this and are not getting their copy of ‘Under 5’ the member magazine – there is a good chance that your contact details are out of date – so please do get in touch. The childminders in the room that are not members through a childminding group said that they did not even realise that the Alliance offers childminder membership and insurance, and they thought that many of their colleagues did not realise either. Raj made some notes about this as clearly the information – which is available is not being accessed as well as it could. There were a lot of discussion around what the Alliance does offer all members – and as such is available to childminder members. If you are interested in finding out more about the training provided by the Alliance through Educare CLICK HERE Childminder colleagues will note that there is a free one on setting up your childminding business – worth prospective childminders joining – just for that and the other essential training – especially as Local Authority support / training is being reduced / removed. It should be noted that there is other training available at a specially negotiated price. So what else do members get? Through the Alliance Chief Executive Neil Leitch – a nationally respected voice in early years sector. Just check out how often he is quoted in Early Years Magazines – and in those that extend beyond the Early Years sector representing the views, concerns and wishes of members. In Worcestershire we are in a very fortunate position as we have what might be called ‘a healthy budget’, due to the fact that Worcestershire funds have not only be held safely over the dormant years but have also been added to via the allocation each year of part of members membership money. To explain – each member pay a membership fee annually – and a portion of that is used to support services provided in the members own area – mainly through the sub committees. So as mentioned Worcester sub committee has access to a healthy budget ………..however the sub committee can not just spend it as they think fit – they have to spend it on services that members want. Therefore a bit of a chicken and egg situation – Worcestershire has the funds available, we can provide training / workshops, social events, networking events and so but we need to know what members want first. And last night we had an expressed interest in some training – the group member present asked for some training on the changes to SEN as from September 2014 when becomes SEND. Raj is therefore going to arrange the training for Worcestershire members – for Free (please note non members will be very welcome to attend – but we will have to make a small charge – simply because with this training every participant will be given the associated Alliance book resource FREE – so we do need to cover at least part of the book cost for non members, by charging a small fee. However if people become members they will get this training and the training over the coming year for free – in my opinion – well worth considering joining. After discussion with those present last night – we aim to put on the training in 2 – 4 different areas of Worcestershire – and we will provide at least cake with the drinks – if not something a little more substantial, as many – including the trainer and the sub committee volunteers will have to dash straight from their ‘day jobs’ and so not have time to eat. These things are very important – and so will be covered and nourishment of some sort provided. As a subcommittee we aim to put on 4 events with training in the next academic year – starting with the AGM – and then 3 other training events – to meet members needs – so why not come along to the AGM on Saturday 4th October to have your say and to share the training programme for Worcestershire Alliance sub committee? The AGM will be at Perdiswell, in Worcester – all booked – including lunch and refreshments. The event will run from 9am – 1pm and will be FREE to members Details will be coming out to members soon – and will be posted on this blog in due course. Non Members will be welcome and will be able to attend for FREE as well – subject to availability of places as of course members will have priority. Getting back to the feedback from the Meet and Greet …… there was more!!! 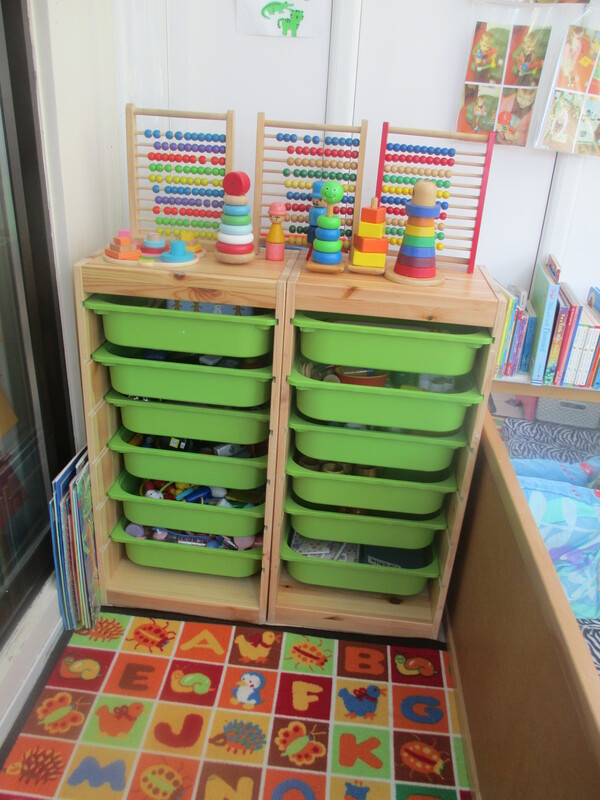 It is surprising what you can fit into about 1.5 hours – so we also discussed changes to the EYFS 14 and after the meeting all attendees were emailed information on this. We discussed Childminder Agencies – and all the concerns that those present have. We discussed the telephone discussion that I had had with Gill Jones who is Deputy Director for Ofsted Early Years – and the work that Gill is doing with Nick Hudson in reviewing the whole Early Years inspection process. And we chatted in general about things connected to early years. And there was MORE – all attendees took home a FREE goody bag and all had a prize from the FREE raffle – something which will be a feature of all Worcestershire events – for as long as we can. Speaking from a personal perspective – I found the Meet and Greet event to be very useful, and certainly I have some ideas about how to get the information ‘out there’ about the Alliance and indeed the Worcestershire sub committee – for example; leaflets giving facts and contact details; trying to get myself / Raj invited to local childminding groups to talk about the Alliance and the Worcestershire sub committee, and to offer the same to group settings and so chat face to face. I am going to leave the almost final comment to the long standing Alliance group member who attended. I will call her ‘A’ as I have not asked permission to mention her by name – but everyone who was there will know who she was. I agree we can and here in Worcestershire – as an Alliance sub committee, myself and Linda – supported by Raj – are waiting for members to come forward and say how we can support them – and for new members to come forward, pay their membership fee – and to let us know how we can support them as well.